PIEDMONT, Calif. — A 3.4 magnitude earthquake shook the East Bay early this morning. According to the U.S. Geological Survey, the earthquake struck about 4:45 a.m. The USGS says the earthquake happened near Piedmont in the Oakland Hills area and was just over 7 miles deep. 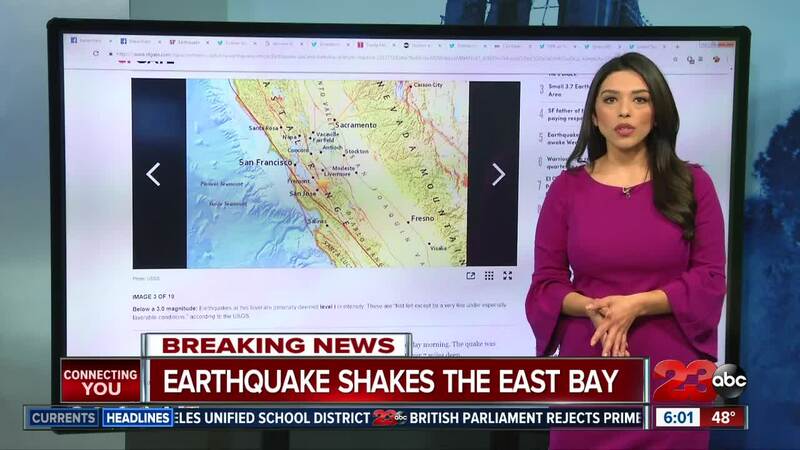 People reported feeling the quake in cities such as Hayward, Berkeley, San Francisco, and Redwood City as well as San Jose. The earthquake shook the area for a few seconds, and so far no injuries have been reported.